As you know, Central Vietnam is not famous for its magnanimous history, heritage land but the cuisine here is really rich and diversified. It is not only quality of the food but decorations are very important. 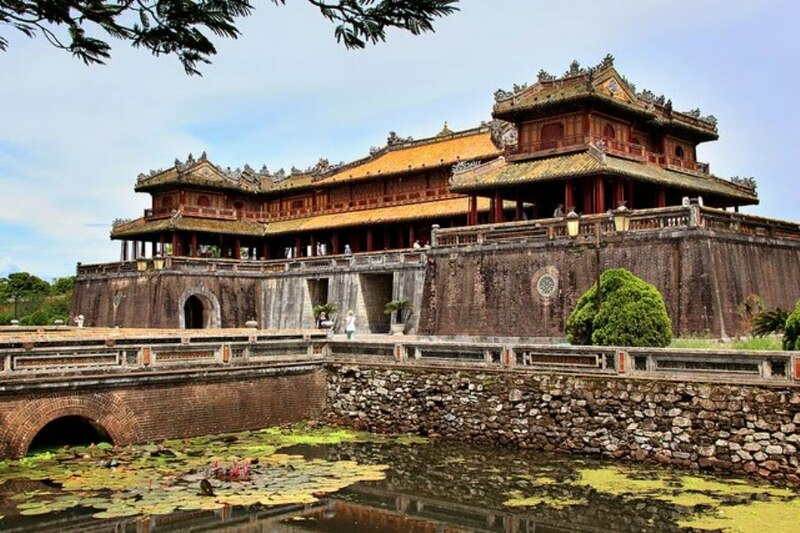 From royal dishes of Nguyen Dynasty in Hue to authentic Hoi An’s cuisine, a combined trip of enjoying culinary and doing sightseeings in this tour will surely make it remarkable. 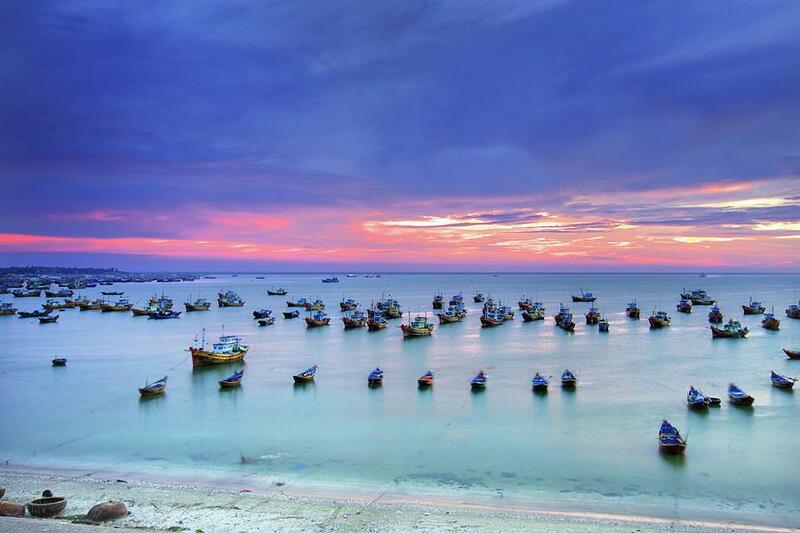 To begin the trip, we will come to pick you up at Da Nang airport then transfer you to Hoi An ancient town for hotel check in. After that, the rest of the day is at your leisure. In the morning, as the sun rises, we will start the day by a drive 60km to the south west of Hoi An where you can see the ruins of My Son Holy Land. So, My Son was the only place where Cham art flourished without interruption from the 7th to the 13th century. In a lush green valley of around 2 km in diameter, there are dozens of red brick towers and sanctuaries dating from the 7th and 13th centuries. Then, My Son was recognized by UNESCO as a World Cultural Heritage in Dec 4th, 1999. 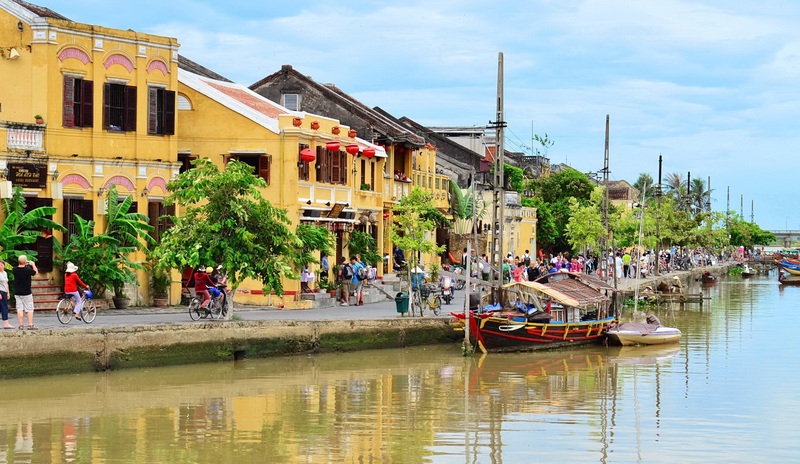 We will be then heading back to Hoi An and you will have free time for the rest of the day. (-/L/-) In the morning, the tour starts by joining cooking class at Red Bridge restaurant in Hoi An. First, we will transfer you to Hai café for welcome drinks before taking you to Hoi An market. At this busy place, you can select ingredients for your cooking class. Next, you board on boat to have cruise boat to Red Bridge restaurant where you learn to make Hoi An special dishes including spring rolls, sauteed aubergine with garlic and fish in clay pot. Lastly, you will enjoy lunch here before we take you back to the hotel. Then the rest of the day is on your own leisure. 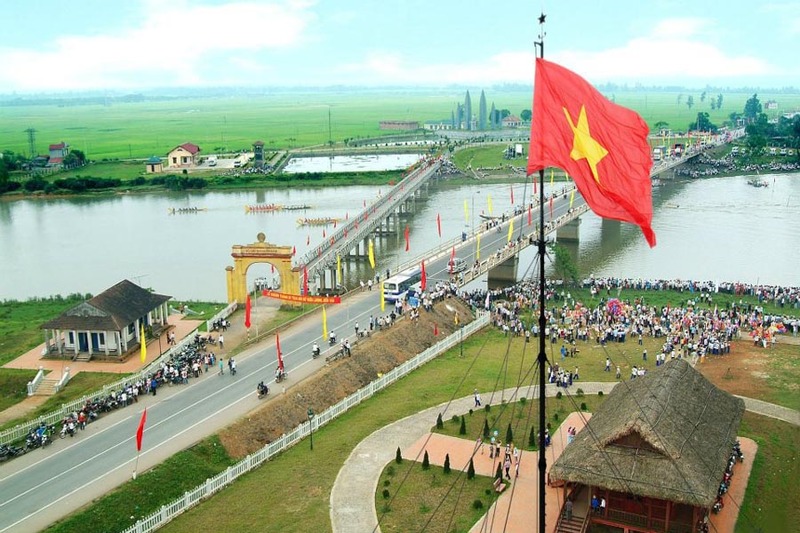 (-/L/-) Today, we will drive northwards along coastal road to Hue city. 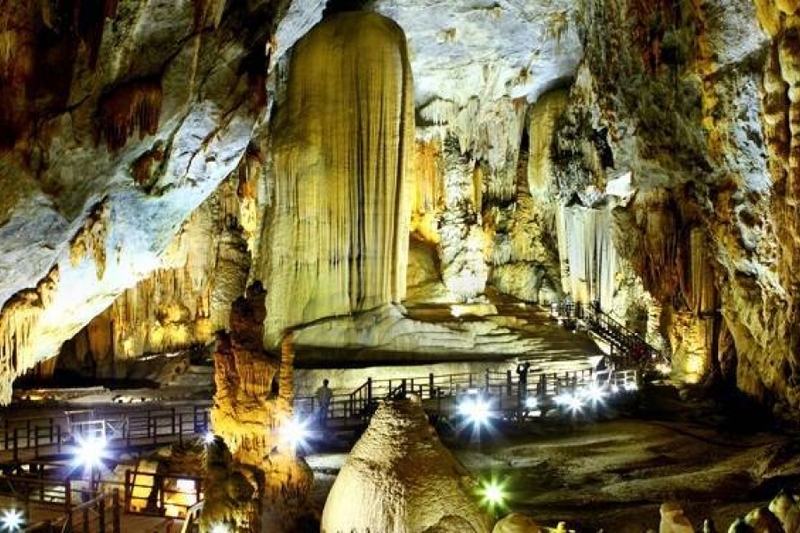 It is approximately 3.5 hour drive and our first stop is Marble Mountains – 5 marble peaks named after five elements Water, Wood, Fire, Metal and Earth. Thus, the site is known for its holy sanctuaries, natural beautiful caves, Buddist temples, pagodas. There is a small cave leading you to the summit with panoramic views of the region. After that, we go directly to Hue. We will then drive through Hai Van Pass or Cloudy Pass, a rest stop on the top of the pass where you admire the panoramic view of the area. Followed by a nice drive through rice fields, fish farms, rural villages, tunnels. We might stop along the way for you to take photo of a water buffalo. 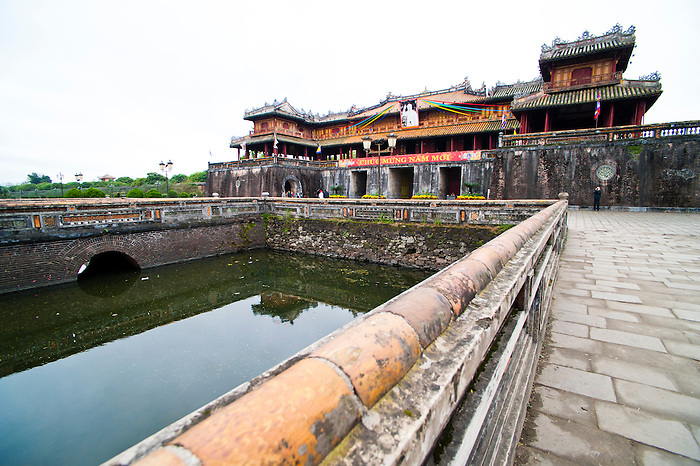 In the afternoon, visit Hue Imperial City which is an area of 500ha and a system of three circles of ramparts, namely from outside to inside: Kinh Thanh Hue (Hue Capital Citadel), Hoang Thanh (Royal Citadel) and Tu Cam Thanh (Forbidden Citadel). Hence, this construction started in 1805 under the reign of Emperor Gia Long and completed in 1832 under the reign of Emperor Ming Mang. 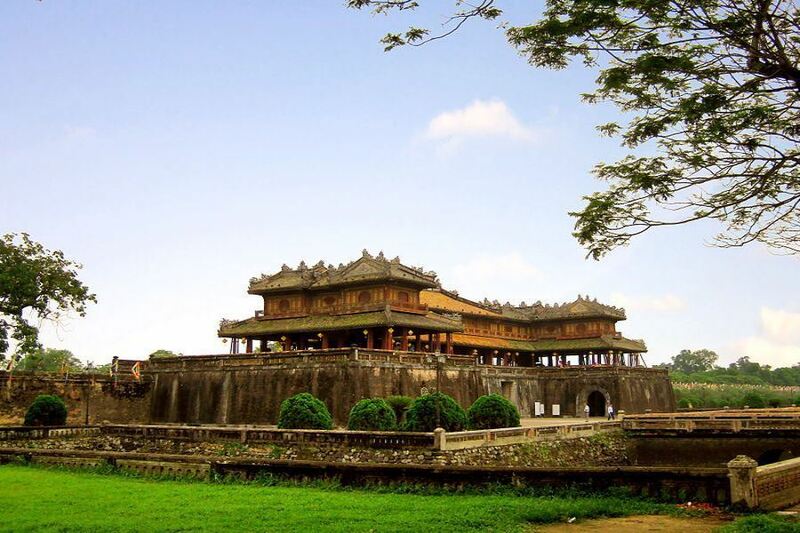 Under Nguyen Dynasty, the Kings had ordered to build ramparts, palaces and constructional works for royal. Over 200 years to now, it is still original with nearly 140 small and large constructions. 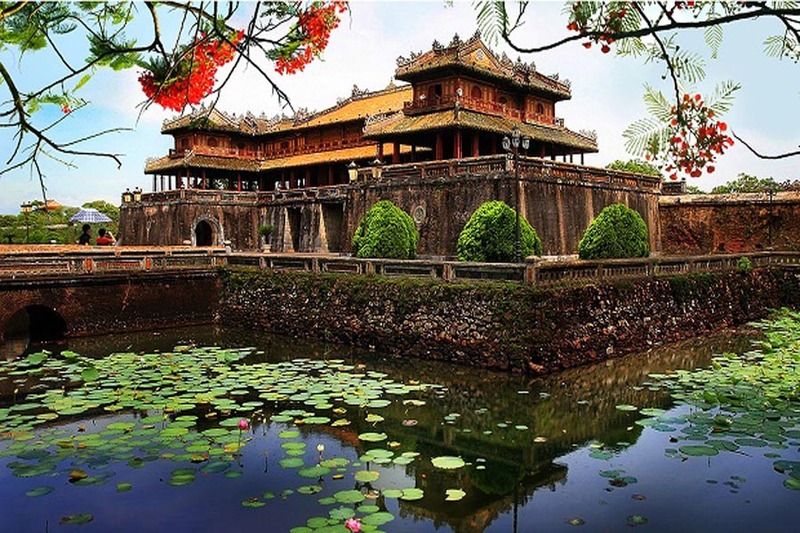 Start off the day by a visit tomb of Tu Duc with sophisticated architecture, charming landscape and is one of the most beautiful tombs of the Nguyen Dynasty. This tomb set in a beautiful natural area and was used by the Emperor Tu Duc in life as Summer Palace and spiritual retreat. It covers an extensive area of 12 hectares with nearly 50 constructions, including lakes, mounts, palaces, pavilions, temples, altars, etc. We continue the trip to the pier where you take boat trip on Perfume river. 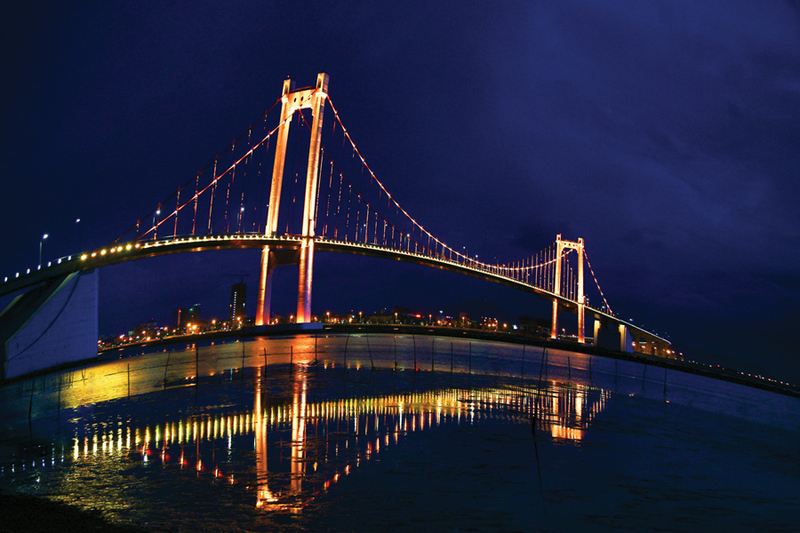 And it is a great chance for you to admire the natural landscapes on both sides of the river. Then, we visit one of the beautiful pagodas and religious center of Hue – Pagoda of Heavenly Lady (Thien Mu Pagoda). 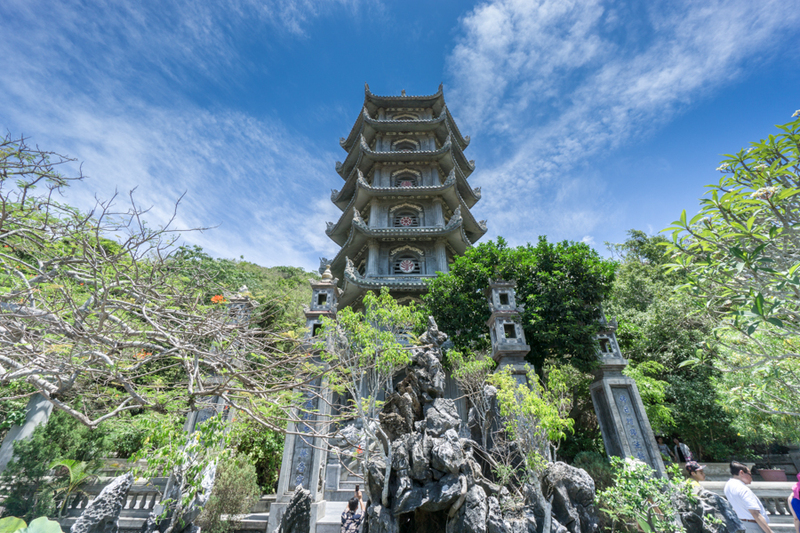 The pagoda was firstly built in 1601 between a river and a pine forest, Thien Mu Pagoda is one of the oldest and prettiest religious buildings in the country. Among the many interesting artifacts at the complex is the car that took the monk Thich Quang Duc to his self-immolation in 1963 in Saigon. After all, we take you back to the hotel. In the morning, check out and waiting for pick up for departure flight. 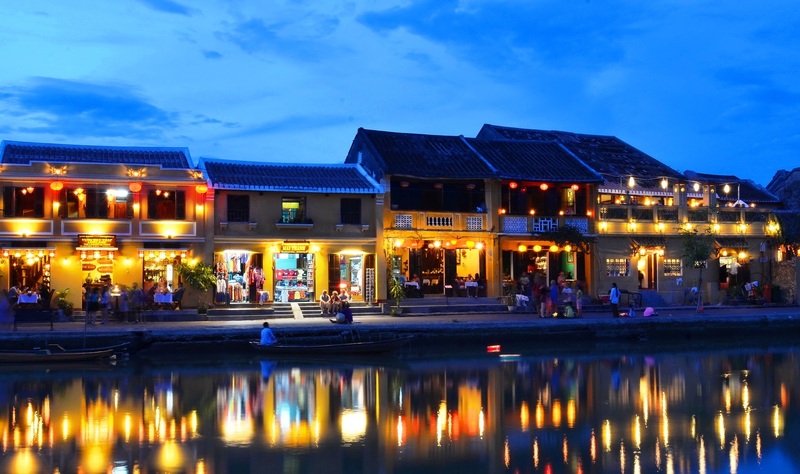 We will end Hoi An Package Tour here. 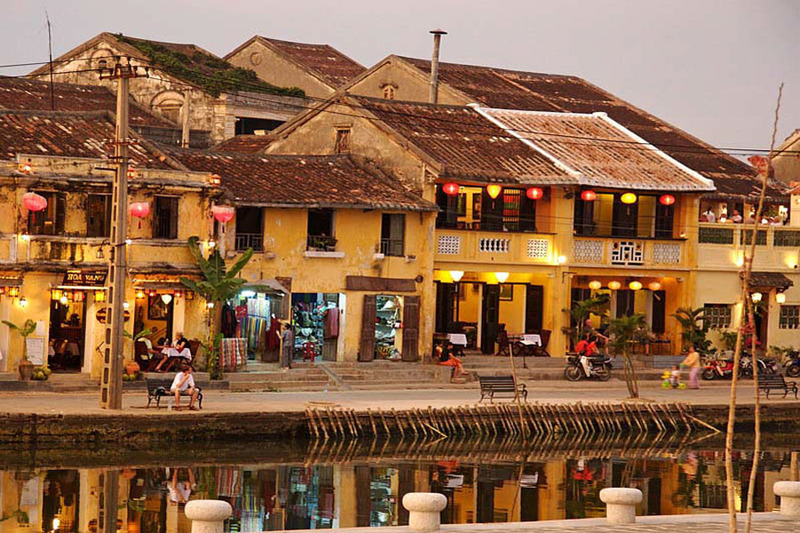 How interesting Hoi An Package Tour brings to you? In the first place, you will have many good chances to visit very old Hindu temples in My Son Holy Land. Also, Hoi An ancient town is popular for its local food, so join in cooking class in the best restaurant in Hoi An is a must – do thing. 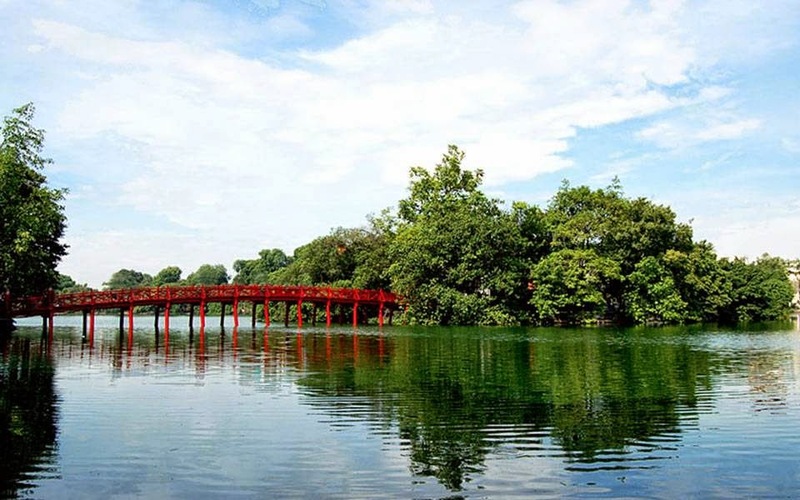 Moreover, a trip to Hue to explore the city by Perfume river, tasting Hue’s royal food and a visit to King’s tomb, Buddist pagoda will make the tour more special. In months of September, October, November; it normally rains in Central Vietnam due to rainy season, please bring rain coats with you. From December till February, the weather is a bit rainy and cold due to monsoon season, let’s bring poncho or cold jackets. For rest of the year, it is usually humid and hot. 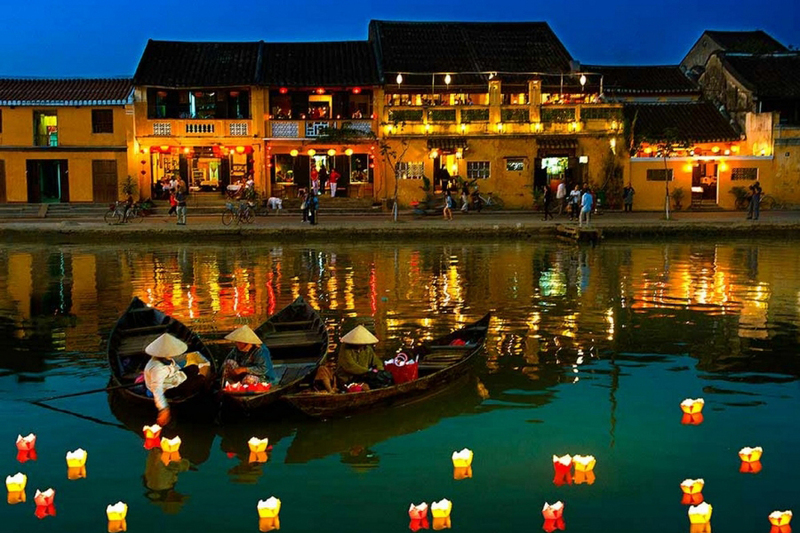 How to book Hoi An Package Tour?